Is your thyroid holding you back? The thyroid gland, it sits in the front of your neck just below your Adam’s apple, which is why the doctor feels your throat sometimes when he/she is doing a physical. They are feeling for any abnormalities and growths or more specifically a “Goiter”. In general, the thyroid is responsible for producing the primary metabolic hormones T4 and T3 and another one called calcitonin which regulates calcium levels. When functioning properly, those hormones T3 and T4 can be an exercisers best friend, taking all that time in the gym and helping you burn off excess fat. Unfortunately, that is not always the case and many people experience the side effects of a slow or “Hypothyroid” and don’t even realize it. Many times, thyroid disorders come on gradually and more often than not, most of us attribute it to “getting older”. 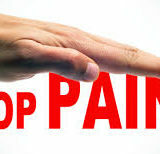 Then one day you experience joint pain, sluggishness, infertility or heart disease which are a few among many symptoms. You may not even consider it’s your thyroid. So if you notice you have any of the following symptoms below, be sure to see your doctor because an untreated thyroid problem can complicate into other diseases or may be the result of an under lying disease, like an auto immune disorder like Hashimoto’s or a pituitary disorder. FYI- The pituitary gland is the size of a pea and hangs off the bottom of the hypothalamus which is gland located in the base of the brain. The pituitary senses when thyroid hormones are low and secretes TSH or thyroid stimulating hormone, into the blood stream. It travels to the thyroid gland and tells it to make T4. T4 is then converted into a more active form called T3. So you ask how does this condition occur? For some people it can be a genetic inheritance or if you are one of those “yoyo” dieters or poor eaters, you can be setting yourself up for thyroid problems, especially if you suffer from anorexia or other types of food deprivation such as “Fad” diets”. Since women are effected more than men, let’s take a look at how most women are programmed to lose weight- according to today’s culture. So ladies listen up!!!! Your thyroid problems can actually be caused by a condition called Estrogen Dominance. This is where estrogen and thyroid compete against one another, since they both have opposite effects on fat metabolism (Estrogen stores it). In this case, you guessed who wins this contest. Most women begin their diet with a daily food intake consisting of a piece of celery and a cracker and decide that should do it for the day. Ok seriously, you will lose weight but the problem is when the body is starved for food, it shuts down many other “less important” processes to conserve energy, one of which is ovulation. Your body say’s “if I’m not getting enough food to support one person, why would I support two?” So your ovaries shut down and Bang…..you now have a hormone problem. Estrogen then builds up because your progesterone is shut down and you guessed it, the weight starts to pack on. In general about 2lbs a month. That’s one of the main reasons taking birth control causes weight gain. Are you getting it ladies, please stop listening to the latest super models and eat!! They all probably have more problems than you can imagine anyway. That doesn’t mean run out to the nearest Crispy Crème or beef stand and load up. Just be smart about it. Check out my dietary guidelines page for a good starter. So you ask how do I know if I have a thyroid problem? Well in addition to having some of the symptoms I previously listed, another way to check or confirm that you may have a problem is by monitoring your rising body temperature. This should be done for 5 days in a row. If your waking temperature is lower than 97.5 you have a low body temperature and if you have symptoms, you should see your doctor for further tests. For women who are menstruating do this test after the 3rd or 4th day of your menstrual cycle as it may affect your body temperature. Be sure to take your temperature before you even get out of bed. So put that thermometer on your nightstand. Although a lower than normal body temperature is indicative of a slow thyroid there are other medical conditions that can effect body temperature and you should see your doctor for medical advise if you do have a lower than normal rising body temperature. 1. Sometimes it could be as simple as not enough protein in the diet, especially if your lacking an amino acid called Tyrosine. Amino acids are building blocks of protein and tyrosine helps make thyroid from the mineral Iodine, which leads us to our next one. 2. Iodine is what’s known as a “trace mineral” that is important in the production of thyroid hormones. A deficiency is rare in the United States since most table salt is made up of iodine or “Iodized salt”. In addition, foods like kelp as well as seafood and seaweed are high in iodine. 3. Selenium is also known as a trace mineral and is extremely important in the conversion of T4 to T3, which is the thyroid hormone responsible for eating away fat like packman ate up those little cherries. 4. Some medications may be affecting your thyroid gland. One of the more common ones is Lithium, which is a psychiatric drug. So be sure if you are on any medication that you ask your doctor if it can cause complications to your thyroid gland. 5. Some people suffer from a tumor to the pituitary gland, which produces Thyroid Stimulating Hormone or TSH. So no TSH or improper functioning TSH and no T4! 6. Pregnancy sometimes causes thyroid problems due to a psychologically depressed condition called postpartum hypothyroidism. The body produces antibodies to their own thyroid gland and if left untreated can cause a miscarriage or a condition called preeclamsia. A condition in the last three months of pregnancy that causes a significant rise in blood pressure. Low thyroid is only one cause of preeclampsia as there are others. 7. Radiation from cancer treatments to the head or neck may affect your thyroid. In addition, too many x-rays as well. Be sure your dentist uses good equipment and his/her x-ray machine is operating properly. Also, be sure that if you change dentists, you don’t get un-necessary x-rays done. Have them transferred from the other. 8. Too much fluoride or chlorine and I do mean the fluoride in your tooth paste as well as tap water. They block the iodine receptors in the thyroid gland and reduce production of the hormones. Can you say purified water! 9. If you already take thyroid hormones like synthroid or levothyroxine, certain things like excess soy or fiber can interfere with absorption, as well as iron supplements, calcium supplements and aluminum hydroxide which is found in some antacids. Also cholestyramine, which is used to treat high levels of cholesterol in the blood. So the best thing to do is take them on an empty stomach and at the same time everyday, unless otherwise directed by your doctor or other healthcare provider. 10. You may also be suffering from a condition called adrenal fatigue which has many of the same symptoms of hypothyroid. The two glands usually work together to produce energy. So be sure to ask your doctor about that, especially if you’re a “type A” stressed out person. Usually if one’s effected the other is as well or one could be masking the other. Be prepared when you see your doctor! Lets face it, many times doctors are extremely busy and if you don’t take care or due diligence in your own health, what makes you think anyone else is? Doctors can only do so much and many times they need you to do some homework to help them diagnose your condition. Would you go to a financial advisor without a plan and say “hey, make me more money”. They may end up costing you more money! Same thing applies to your doctor. Keep a dairy of how many calories you’re eating for several weeks before your appointment. Write down your starting weight any symptoms you have and when they started? How severe are they? What seems to improve them or make them worse? A list of the supplements you’re taking and medications. The more the doctor knows the less likely you will waste time with un-necessary tests or requests. For example, I had a client whose blood levels of TSH were within the normal range but low and she was putting on weight but the doctor would not increase her thyroid, because she was “within the range”, which is huge. Do you blame the doctor. He/she had nothing to go on other than weight gain with no proof to back up what she claimed she was eating or how much she was exercising. I had her write down her exercise routine for six weeks as well as logging her calories meticulously on a web site. She went back to the doctor armed with this information. He increased her dosage based on the information she gave him and lost the weight she gained and feels much better. A good web site I use for logging calories is called www.myfitnesspal.com. Before I begin it’s important to remember other deficiencies caused by diet and stress that possibly are effecting your energy levels could be low vitamin B12 and low vitamin D. These two are very common deficiencies and should be tested as well to rule them out. Once you have a blood test, don’t accept the doctors phone call stating, “your in the normal range” and forget about your thyroid concerns. Ask for the test results and keep a record of them. If you can also show that over the years your thyroid has hit the skids dramatically, even though your with the normal range, isn’t that more ammo for you to discuss with the doctor? 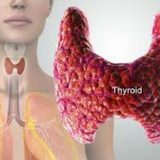 A high TSH level is indicative of a slow thyroid and as of 2003, the American Association of Clinical Endocrinologist has changed the recommendation for what is a normal range for TSH levels. It went from 0.05 > 5.5 to a smaller range of 0.3 > 3.0. So be sure your doctor is aware of current information as well. Some doctors disagree with the change but it is important you mention it. I get blood work done one time a year and thyroid hormone levels are one of them. Be sure your doctor doesn’t only test your TSH (thyroid stimulating hormone). That actually is testing your pituitary, which may be having issues. Mention that you also want your T4 and Free T3 tested (not “Total T3”) These additions will provide a more complete and accurate measure. Another good blood test is thyrotropin-releasing hormone stimulation test. This is also used to determine borderline cases as well. There are many types of thyroid tests out there and the ones I mentioned are a good start. I recommend listening to what your doctor tells you to do. He or she will respect you far more though as a patient if you are proactive with your health. Remember, you and your doctor are a team. Together you can come up with a game plan for any concerns you may have, just be informed. 1. Some of the first steps in taking care of your thyroid is to eat a balanced diet containing lots of fruits and vegetables. A good addition to your diet is sea vegetables. They are very rich in iodine. A good one is Nori, which is what is used to wrap sushi. 2. Lean meat like chicken, turkey and fish as well as egg whites, will provide you with the required amounts of protein that include the amino acid tyrosine. 3. The best way to get enough selenium is to incorporate Brazil nuts into your diet. You don’t need many, maybe 5 or 6 tops. So be mindful of your calorie intake. Asparagus is good to. 4. That brings us to healthy fats. If your diet does not have enough fat in it, the body will save fat, because it saves what it doesn’t get! That doesn’t mean to load up on it either but things like coconut oil, olive oil, fish oil, flaxseeds, walnuts, almonds and my favorite avocado’s, (not guacamole either) are great choice’s in keeping your metabolism running it’s best. Incidentally avocados are especially good for thyroid health. 5. Eliminate sugar. Not only is it bad for the immune system it causes a spike in insulin who’s main function is to lower blood sugar at all costs. The easiest way to do that is by making fat. Most foods containing sugar are empty calories as well and can limit all the important nutrients your thyroid gland needs. 6. Watch out for Goitrogenic substances. These are substances that interfere with the thyroid glands uptake of iodine and can inhibit its function. They are certain chemicals, drugs and foods. The list is way too long but I will provide you with a link to them. Click on the word above. 7. Eating smaller more frequent meals tells your thyroid to keep burning because food is plentiful. In the old days we didn’t have Costco and Jewel so are bodies became very good at anticipating starvation subsequently making us really good at storing fat. Eating smaller more frequent meals can be a good kick start to a sluggish metabolism that has been abused for years with alcohol, fried foods, sugar and stress. 9. A nice cold shower also stimulates thyroid production. What I do when I’m finished showering is turn the water to a slow tricle and run it over my knees or which ever body part is aching or causing you pain. It’s much faster and goes deeper than sitting with ice on it. After about 1 minute on each knee I do a 5-6 quick whole body circles under the cold water and that should do it. Remember the information contained above is for informational purposes and in no way should be taken over the advise of your doctor or other healthcare provider or nutritionist. Do your own research and consult with your doctor especially if you are already taking medication or under a doctors care. All the best and hope that helped. So you’re 40 years old and you’re in the gym hitting the weights hard and eating right. A few months goes by and you’re not seeing results. You feel tired, weak, you have no energy and the last time you saw your “soldier solute” was when you had to go to the bathroom in the middle of the night. I think you get the “point”. 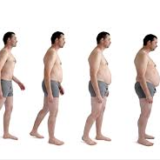 You may be suffering from “Low T”. This subject is nothing new and is the latest topic for guys trying to put more lead in their pencil. Sorry I just can’t resist all the adjectives. At any rate, it’s probably a good idea to have your “T” levels checked by your doctor, which is done through a simple blood test. You may find that one simple pellet or cream is all it takes to get your MoJo back. At any rate, it’s time to see what it is in your life that may be effecting the your “lead levels”…..so to speak. I put together a list of what I found are the biggest culprits to lowering testosterone. Ladies don’t be fooled. You need testosterone as well, but the only difference is you require much lower levels than men but it is still an important part of your well being. Remember to always check with your doctor and don’t just take my word for it. Low T might be related to an underlying medical condition such as a tumor or disease. You can also research much of this information as well. Keep in mind not just people over 40 suffer from low T. Your lifestyle and stress levels or disease can determine it as well. I recommend that one stay away from high-protein, low-fat diets, especially if you’re doing a lot of endurance related activities like running. Not enough carbs can create a condition called ketosis which is good for VERY short term weight loss, however, over longer periods of time it is extremely bad for testosterone levels as well as your overall health. The kidneys reabsorb some testosterone from the blood but in the presence of ketones they lose out and it’s excreted. Eat a diet rich in monounsaturated fats. This has been known to help the body make hormones like testosterone. Foods high in Mono unsats are walnuts, avocados and almonds as well as flax seeds and fish oils. “Incidently “T” is made up of cholesterol. So, the rumors about eating a whole egg once in a while are true, only IF you do not suffer from elevated cholesterol levels. 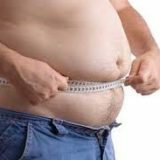 Starvation is a testosterone killer! To stay lean, while still maintaining optimal testosterone levels, I recommend eating smaller meals more frequently throughout the day. In order to create testosterone, your body needs an adequate supply of calories. (about 11 per pound of body weight) This is why so many good meal plans only implement 1-2 pounds of weight loss per week. When calories are too low (or if you starve yourself) the metabolism slows down. This, in turn, slows down testosterone production, to conserve energy. Before you know it, your hard earned muscle is wasted and used as energy to supply amino acids and glycogen. It is important to be sure that you are getting enough sleep. This is imperative for testosterone production. The body’s circadian rhythms are extremely important and they have a direct effect on your testosterone levels. Most males are very familiar with certain effects of those elevated testosterone levels that usually occur in the morning, which is when “T” levels are highest. I won’t go there I promise. Alcohol is bad because it upsets the balance of the liver. The liver has to work extra hard to produce enzymes to breakdown the alcohol. The same enzymes that help breakdown alcohol are also required for testosterone production. In the presence of alcohol, these enzymes, (located in the testes for testosterone production) are diverted from the testes to help break down alcohol. Makes it easier to pass on that whiskey and coke. Lift weights! It is crucial to choose exercises that use more than one joint at a time. For example, the best three moves you can do are squats, bench presses and dead lifts. The reason for this is, these movements require large amounts of energy, which in turn create large levels of blood lactate in a short period of time. These high lactate levels (that are not constant but sporadic) stimulate testosterone production! However, it is important to keep in mind that lifting too hard and too long can shift the body into cortisol production—- and we already know that is something we want to avoid. So what I recommend is: lifting weights for no more than 1 hour a day. Perform at least three sets of 6-15 repetitions on each exercise and 10-15 total sets of heavy or moderate weights every day and train one body part per week per day. Ladies, the heavy weights are especially important for you, to prevent bone loss as you age and to keep the loss of female hormones to a minimum. We cannot beat natural decline, but we can stave it off. 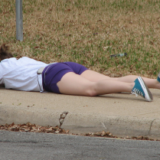 Many people suffer from gas, bloating, stomach cramping, and diahhrea along with a host of other ailments. The problem many times can be fixed by simply cutting something out of your diet, like hamburgers, hot dogs or beer…sounds like the ball game to me. At any rate, see your doctor first and ask he / she about probiotics for your ailing gut. 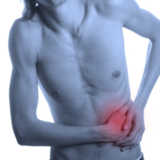 Probiotics are used for Dyspiosis or an imbalance of the bodies intestinal flora. This imbalance of delicate intestinal “good” bacteria is important for many functions in the body, especially immune health. 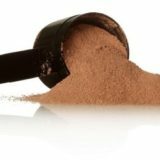 The two most common ones used in supplements and other foods fall into the following categories, Lactic Acid Bacteriaand Bifidobacteria. There are so many versions out there of each, that people don’t have an idea about which one to get, especially since you need an english degree to pronounce some of them. So I’m going to start out by introducing a few you may see in some products and what each particular one does for your body. 1.) BiofidoBacterium Bifidum- Enhances assimulation of minerals, ie. Calcium, Magnesium etc. 2.) BiofidoBacterium Longum- Helps reduce diahhrea from antibiotic usage. It’s also among the first to colonise the sterile digestive tract of newborns and predominates in breast-fed infants. 3.) Lactobacillus Acidophilus- A natural antibiotic and has been used to treat or prevent vaginal yeast infections, yeast infections of the mouth, or diarrhea caused by taking antibiotics. 4.) 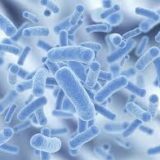 Lactobacillus Bulgaricus- This particular substance is transient and needs to be continually supplied because it won’t colonize in your intestines. It’s mostly used to help regulate PH and It is often helpful to sufferers of lactose intolerance because it helps ferment lactose. While fermenting milk, it produces acetaldehyde, which is one of the main components of yogurts aroma. 6.) Lactobacillus Rhamnosus- Helps colonise the geneto-urinary tract to help prevent infections. 7.) Lactobacillus Salivarius- Helps to protect the teeth from cavities and sweetens the breath. Probiotics are best taken with take with Fructo Oligosaccharide. A fiber which is food for the bacteria to help them grow. Also, be sure to get an enteric coated version. This will allow the supplement to bipass the stomach acids and reach your intestines for maximum utilization. Caution: if you are pregnant, immune suppressed or have any disease or condition that you are under the care of a physician, nutritionist, dietitian or other health care professional, always seek their advise before taking probiotics. It is advisable to get your doctors permission before taking any supplements as you may also encounter dangerous drug interactions or complications you may not be aware of. The information obtained here was was from various web sites and a TLN television program- “Your Health”, with Dr. Richard and Cindy Becker, a great show on daily. It is not the passage of time that ages us, it is the accumulation of environmental stress, physical stress and emotional stress that breakdown our bodies into the condition we call aged. The aging process is much like the rusting of a car or the rotting of fruit; for example when you cut an apple and leave it on the counter for a while, it starts to turn brown. That rusting or fruit spoiling is called oxidation and our bodies go through the same process. The antioxidants in certain foods help protect us from Free Radicals that attack our cells membranes and cause this “Oxidation” that ages us by destroying our tissues. 1. Impair cells ability to transport nutrients into the cell and it dies without replacing itself. 2. Impair the cells ability to transport waste products out of the cell, thus the cell can become ‘strangled’ by it’s own waste, which can result in the cell dying before replacing itself. 3. Damages the cells DNA so that instead of the cell being replaced by another healthy daughter cell, it is replaced with a mutant cell that does not function properly. 4. Damage the lysosomal sac and release deadly lysosomes, which are enzymes that destroy other cell components. This leaves the cell devoid of working parts and the body becomes one cell older. 5. Fuse proteins together in such a fashion that the proteins do not function properly. This can damage a cell so that it does not perform and does not produce a healthy replacement. 6. Form byproducts. These residues accumulate over time and interfere with all function. The most damaging aspects of free radicals is their effect on a cell membrane. Curbing free radical damage has an age-retarding effect, It can improve the quality of life as well as the length. Scientists have estimated that each cell in your body suffers from 10,000 free radical ‘hits’ each day. Free radicals not only damage cell membranes, cellular proteins, DNA, RNA, and other essential body components, they also disrupt normal bio chemistry that may lead to many diseases. Free radicals may worsen existing conditions, antagonize the healing process and create an environment for pre-dispositioned (hereditary) diseases to set in. So, what is the solution to free radical damage? A substance that slows the oxidation (or cell death) of free radicals is an antioxidant. 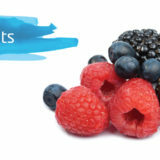 Antioxidants, also protect other substances against damaged caused by oxygen. Scientists estimate that there are over 4000 antioxidants nature provides to help protects us. Below are some of the most common ones as well as most powerful. Resveratrol– One of the most powerful and found in red wine. One food in particular has received a lot of attention lately. The Acai berry, found in the rain forest of Brazil. 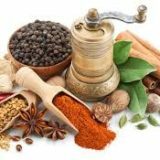 It is in a particular class of antioxidant flavonoids called anthocyanins. Anthocyanins protect many departments of the human body. It is believed to be one of the most potent antioxidant containing food items in the world. Not only is it high in flavonoids but it also includes amino acids as well as omega 3 fats. As always be sure to check with your doctor before taking any supplements, especially if you are under their care for any medical condition. There’s a new supplement on the market called, Indole-3-Carbinol. It is great for fighting cancer as well as being an anti viral compound. It consists of the substance found in such vegetables as Cauliflower, Broccoli and Brussel sprouts. You can get it at any health food store. As always check with your doctor, dietician or nutritionist before taking any supplements as they are not regulated by the FDA. If you cannot find it locally, Amazon has very reasonable prices.